A workshop in association with Adobe and BenQ talking about the tricks and tools to get you ahead followed by networking dinner with cocktails. It provides insights on post production pipeline in Films, Digital and Web platforms content development to Video editors, artists, and Graphic designers. 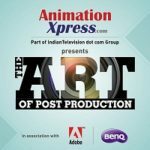 Some snapshots of the Art of post production held at Taj Banjara, Hyderabad on 19 june, 2017. 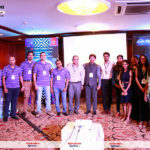 It was attended by several veteran speakers like Guru Vaidya from Adobe, Mahesh Soni from BenQ, Promita Sen and Dora Babu from Makuta VFX. The audience included professionals like video editors, artists and graphic designers in large numbers.